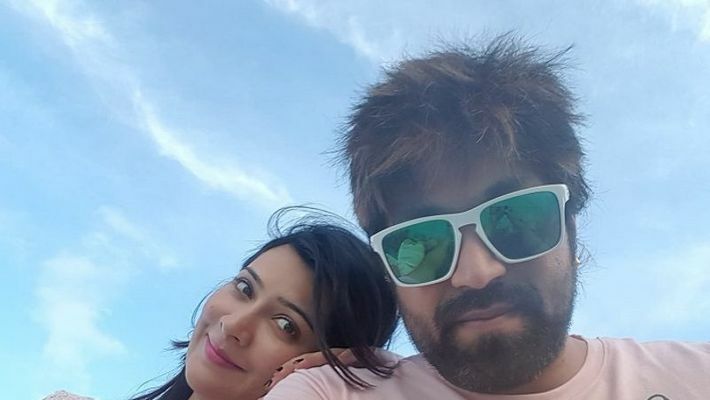 Bengaluru: Yash and Radhika Pandit are known as the power couple of Sandalwood. It’s only natural that Radhika would want to celebrate her beloved’s birthday. Radhika Pandit took to Facebook to wish Yash. She posted a photo of the duo wearing pink T-shirts with the caption that read, "Happy Birthday perfect match," with a smiley. Still soaking in the massive success of KGF movie Yash and Radhika are on cloud nine as happiness paid them a visit when the couple were blessed with a girl child. Radhika is known to express her deepest thoughts in one-liners. Her cute birthday wish speaks a thousand words about their relationship. The couple have known each other since 2004, when they met for the first time on the sets of Nada Gokula Kannada serial. In fact, the couple also made their movie debut together when they starred opposite each other in Moggina Manasu in 2008. Yash and Radhika kept mum about their relationship status for many years. The couple finally revealed that they were in a relationship and got hitched in December 2016.